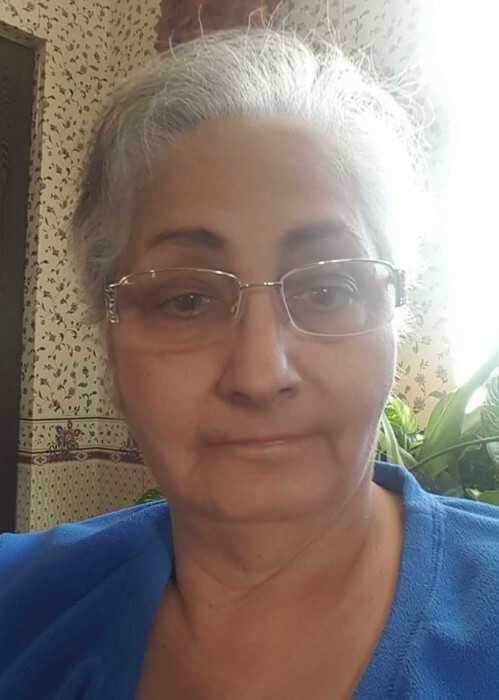 Lynna M. Dryden of Waterloo, Illinois entered eternal rest on Monday, June 25, 2018 at St. Anthony’s Hospital in St. Louis, Missouri, having attained the age of 67 years, 5 months and 18 days. Born in Chicago, Illinois on January 7, 1951, she was the daughter of Leonard and Sarah J. DeFabio, Jr., nee Yarbrough. Lynna was a cashier at Walmart in Waterloo, Illinois and a member of the Moose Lodge in Mascoutah, Illinois. She was formerly an EMT and a manager of the Dollar General Stores in Mascoutah and Waterloo, Illinois. Surviving are her children, James Dryden, Rachel Dryden, both of Waterloo, Illinois and Victoria Dryden of New York; her brother, Leonard DeFabio of Waterloo, Illinois; her sisters, Pamela J. Marine of Cahokia, Illinois and Carolyn DeFabio of Woodstock, Illinois; her grandchildren, Tamzin L. Morgan and Makkayla L. Morgan, nieces, nephews, cousins and many friends. Friends may call on Friday, June 29, 2018 from 2:00 P.M. to 7:00 P.M. at the Creason Funeral Home in Waterloo, Illinois. Funeral services will be held on Friday, June 29, 2018 at 7:00 P.M. at the funeral home. The Creason Funeral Home in Waterloo, Illinois is in charge of arrangements.